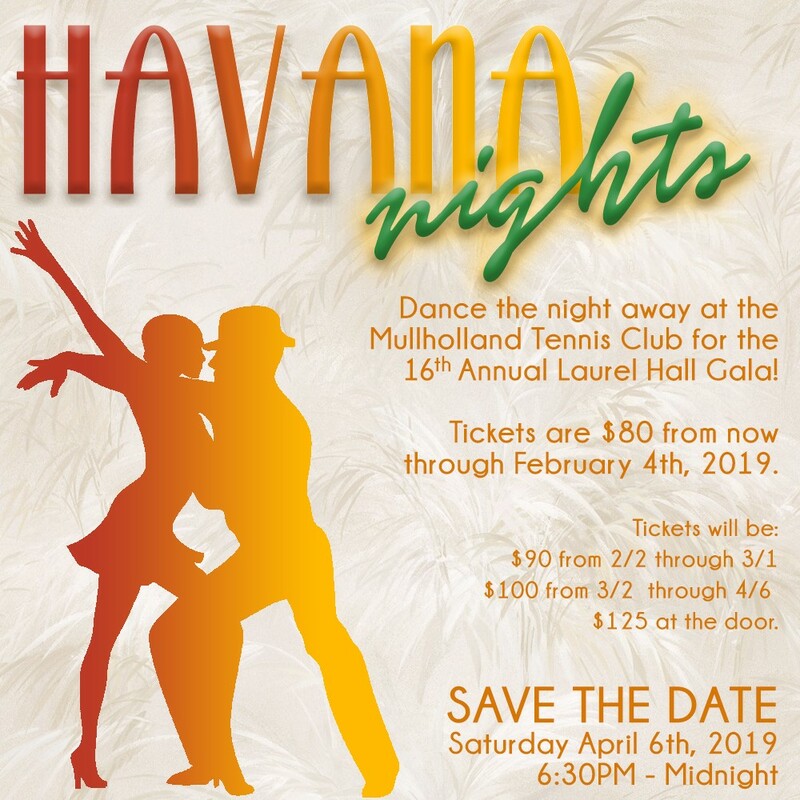 The fun and fabulous Havana Nights Spring Gala is just around the corner Saturday, April 6th! 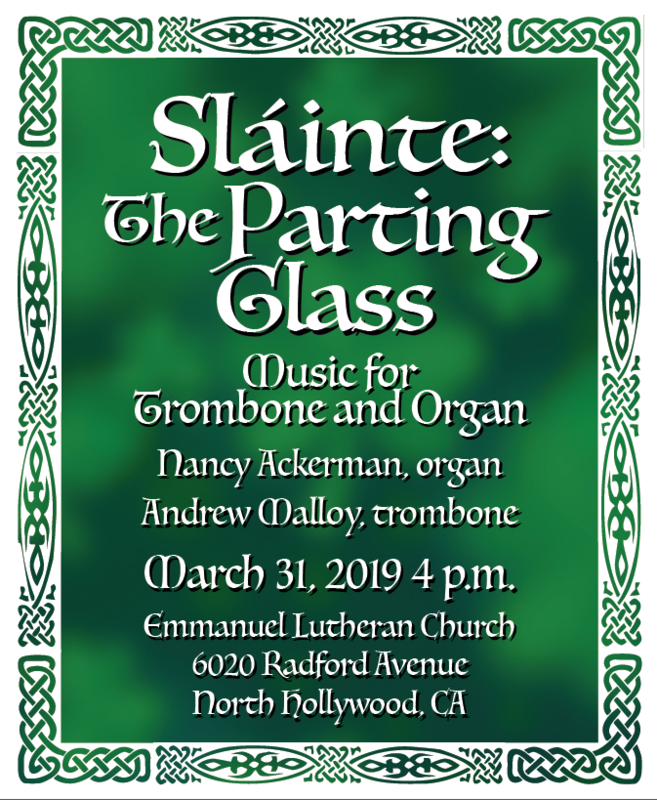 You can also sponsor a teacher or staff member's ticket! Pastor, Tony Auer. This is an opportunity to meet, greet and enjoy a cup coffee with Pastor Tony. Tuesday, April 23 – Friday, April 26, 7:45 am – 6:00pm. The EDP holiday fee for students regularly enrolled in EDP full-time is $15.00/day in addition to the regular monthly charge per your contract. For students not enrolled in EDP or only using EDP on an occasional basis the fee is $35.00/day. All children should bring a healthy morning snack and beverage. Children must bring a lunch from home. An afternoon snack and beverage will be provided. 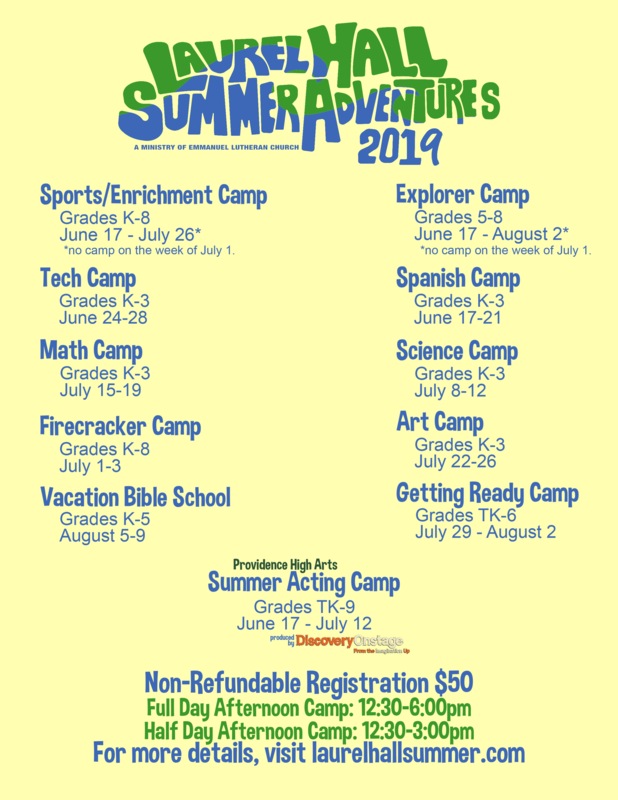 Providence High Arts, DiscoveryOnstage®, and Laurel Hall School proudly present a reimagined camp experience designed to more effectively meet the needs of younger and older campers alike. Become a part of the excitement by registering today for this creative, four-week exploration. 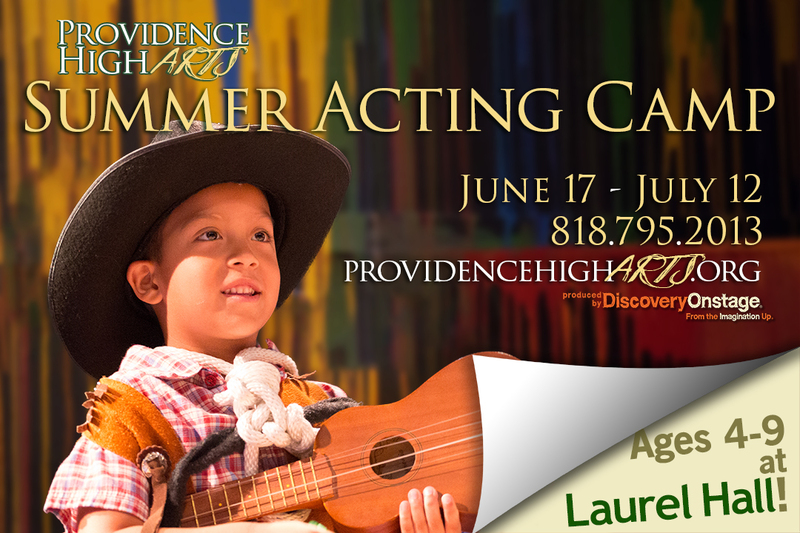 Then join us as both camps culminate at Providence High School’s one-of-a-kind theatre with a series of fun-filled, student-created productions built From the Imagination Up®. It’s time for another Box Tops Contest! This time you only need to turn in 10 Box Tops by Friday, April 12, 2019 at 2:00 PM to be entered into a drawing to win 1 of 5 chocolate bunnies. Just 10 Box Tops, and you could win! But please bring in more than 10 if you possibly can. 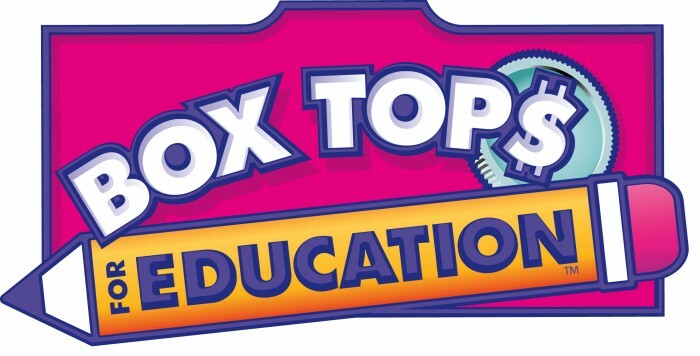 Collect your Box Tops in a baggie (or attach them to the collection sheet provided) along with your child's name, grade, and homeroom. Turn in your Box Tops to your child’s teacher or the school office. Good luck, and thanks for clipping! Join Emmanuel Lutheran Church in the Reception Room to sew/tie assemble baby/youth quilts on Tuesday, March 26 and Thursday, March 28, 9:00am to 3:00pm. Bring your favorite scissors and/or a sewing machine if you can. 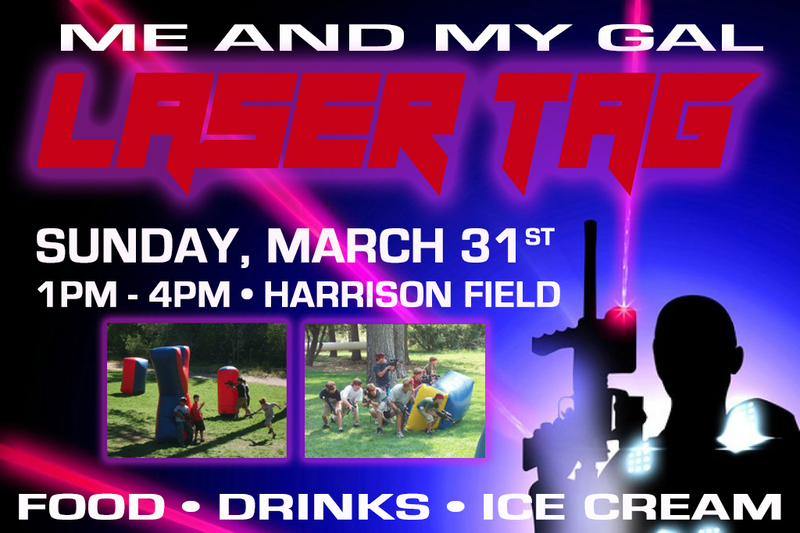 More importantly, bring yourself and join in the fun and fellowship. No experience necessary! 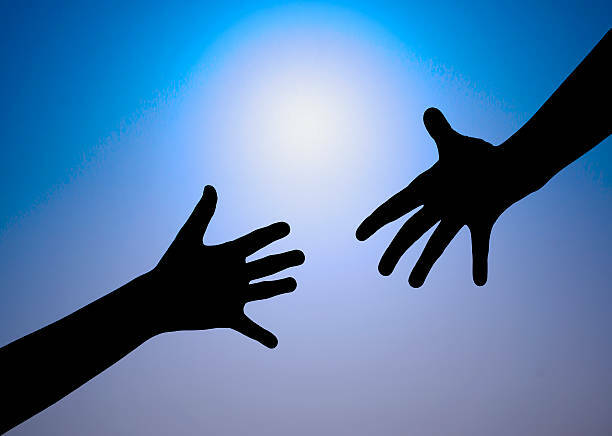 If you can tie a knot, you can help. 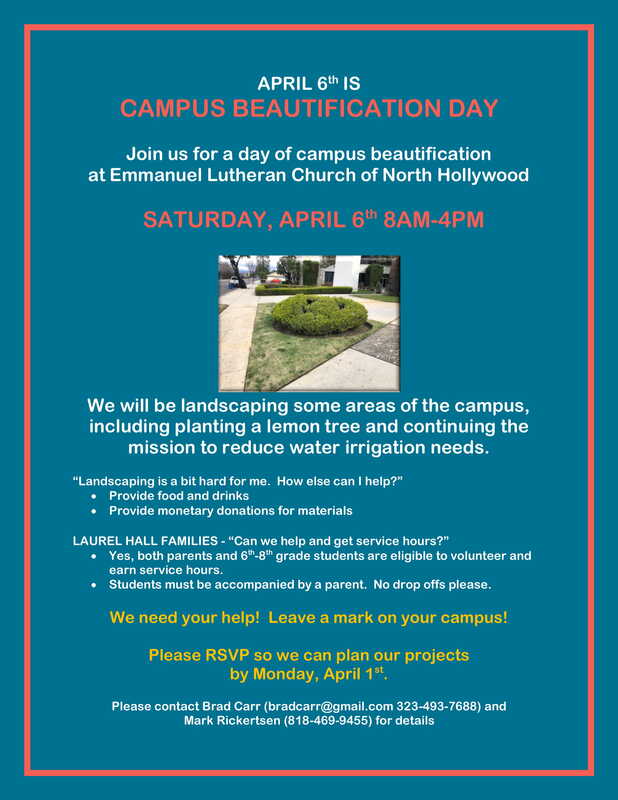 Questions or for more information, contact Karen Ohrt AT 818-982-0668. Emmanuel Lutheran Church sandwich making is the second Sunday of each month, and starts after service at 11 am. Contact Florence Aquino at frlaquino@yahoo.com to participate. Pasadena Humane Society has animal related projects that can be done at home. Click here to view at Student Projects. Operation Gratitude has Assembly Days (care packages for our soldiers).Click here for upcoming dates. ASB Charity for the 3rd Trimester is Camp Kesem. Please contact Heidi Moore on how you can donate to this charity. 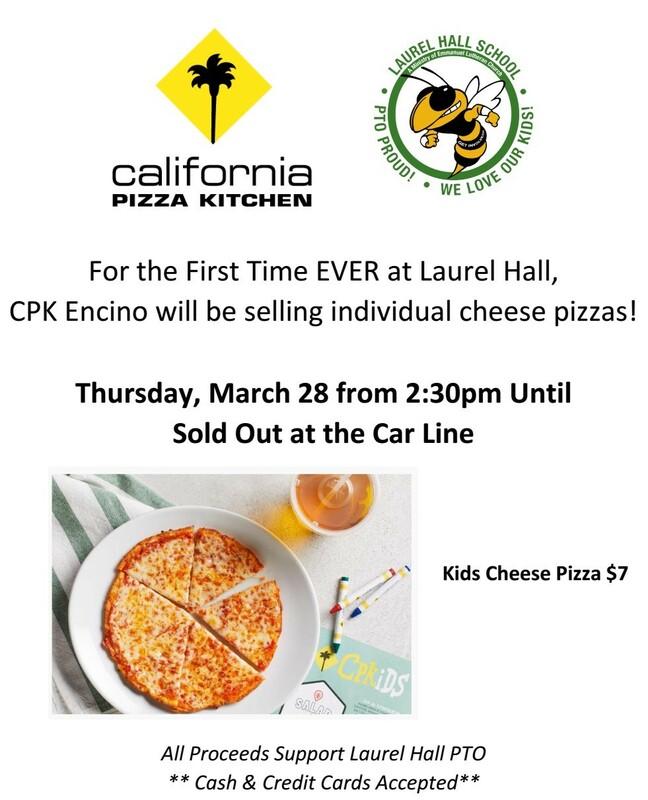 Two super easy ways to earn money for Laurel Hall! 1) Ralphs: If you have a Ralphs Rewards card, you can go to Ralphs.com to register your Rewards account and then select Laurel Hall as your Community Program. Linking Laurel Hall to your Rewards card earns money for our school every time you shop at Ralphs! 2) Amazon Smile: If you log into your Amazon account via www.smile.amazon.com you can select "Emmanuel Lutheran Church-Laurel Hall School" and Amazon will donate money to our school when you make purchases using www.smile.amazon.com.